Government in Addis Ababa refuses to release award-winning journalists jailed under Anti-Terrorism Proclamation. As Al Jazeera presses ahead with its campaign to free its journalists detained in Egypt, nine Ethiopian journalists who are receiving less attention continue to languish in prison, held on trumped-up charges of terrorism, according to the New York-based Committee to Protect Journalists (CPJ). To mark the 900th day of the imprisonment of award-winning journalist Eskinder Nega, who is serving an 18-year jail term, and the 36th birthday of Woubshet Taye, jailed for 14 years, Al Jazeera speaks to Nani Jansen of the Media Legal Defence Initiative, a London-based NGO that helps journalists around the world defend their rights. Al Jazeera: What are the charges Woubshet Taye and Eskinder Nega are facing? Nani Jansen: Eskinder Nega, Woubshet Taye and many other journalists in Ethiopia, such as Reeyot Alemu, have been charged and convicted under Ethiopia's 2009 Anti-Terrorism Proclamation, a deeply flawed law that is being used by the Ethiopian government to systematically suppress free speech in the country. Because of their work as a journalist, they were deemed to be "participating in a terrorist organisation". In fact, Eskinder was explicitly said to have "used his right to free expression as a cover for terrorism" and most of the so-called evidence presented in the criminal proceedings against them consisted of their journalistic writing. AJ: What kind of legal assistance are they receiving? NJ: Mr Nega is currently representing himself, having decided after his initial conviction that he was better off that way. He filed for an appeal in cassation (the last possible resort in Ethiopia) in May 2013 - he is still waiting for a hearing date. Mr Taye decided not to appeal his conviction and has been hoping for a pardon. So far, the government has refused to grant him one. AJ: What has MLDI done or is doing to have these journalists freed? The Media Legal Defence Initiative has started several international legal proceedings to get Eskinder, Woubshet, and a number of their colleagues released from prison. A series of complaints has been filed with a UN body that has competence to address violations of the right to free speech. The procedure is confidential, I'm sorry; I cannot say which UN body. More importantly, a complaint has been filed at the African Commission on Human and Peoples' Rights on behalf of Eskinder Nega and Reeyot Alemu, challenging the 2009 Anti-Terrorism Proclamation as such. In their complaint, Mr Nega and Ms Alemu not only present their own case, but demonstrate that there is a pattern of prosecution of journalists under the law. They have asked the Commission to refer the case to the African Court, which can issue a binding decision saying that Ethiopia's laws violate international law. This would be an important step for all journalists in Ethiopia. MLDI is representing Mr Nega and Ms Alemu in these proceedings, together with the US-based NGO Freedom Now. 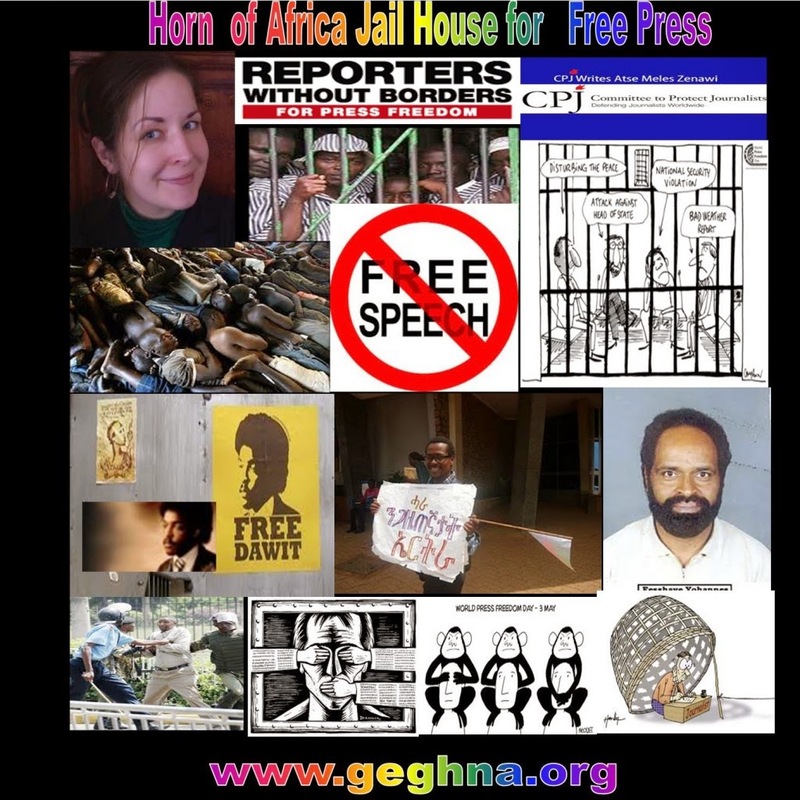 AJ: Ethiopia is notorious for persecuting and jailing critical journalists. 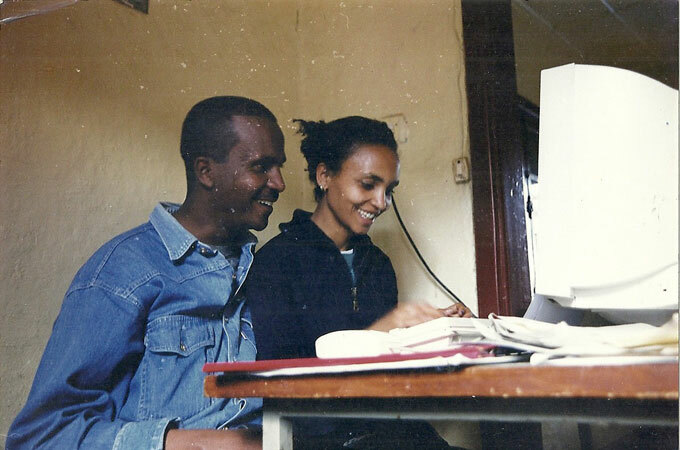 Tell us about the working environment for journalists in Ethiopia. NJ: Based on the number of cases we have been supporting in the country and the overview of prosecutions we documented for our complaint at the African Commission, I would say that there is virtually no free space left for independent journalism in the country. Over the past few years we've slowly seen the last independent publications get shut down, their editors jailed and dissenting voices silenced. Consequently, self-censorship is all-pervasive amongst the remaining press. The situation is really very bad. AJ: In an article published by Ethio-Mihidar newspaper, Woubshet Taye said some inmates have died in jail because they have been denied medical treatment. Does the MLDI have information on the circumstances of their detainment? NJ: I can say that our female client in the African Commission case, Reeyot Alemu, has received severely inadequate treatment for the fibroadenoma she was diagnosed with. She has had surgery without anaesthesia, has been left with surgical stitches in her breast for over a year and never received proper aftercare. One of the requests we submitted to the African Commission is that she receive proper medical care as soon as possible. AJ: What kind of pressure can be brought to bear on the Ethiopian government to get the journalists freed given the fact that the government appears to have ignored appeals and condemnation from the international community? NJ: Looking at it from the legal perspective, it would be important for the African Court to get the opportunity to speak out on Ethiopia's abuse of its anti-terror laws. The Commission has to refer the case to the Court, so we hope that they will do so soon so there is chance of a binding decision that would force Ethiopia to amend its legislation as well as the way it is using it to stifle dissent. Generally speaking, it is important that the wider public becomes aware of the fact that these prosecutions under anti-terrorism laws to punish free speech are not isolated incidents in one or two countries, but part of a wider pattern taking place in many countries worldwide. It is important that each and every country employing these tactics, including Ethiopia, be held to account for this.